Join Scott HR to learn how Radical Engagement will dramatically improve your office culture, communication and productivity. You can improve employee engagement, enhance communications and make a real difference with one-on-one coaching. Spend less time managing staff with intentional commitments and informed planning. Become a more effective manager with Radical Engagement. What: Radical Engagement, the mysteries of hiring, training & keeping stellar employees revealed by HR Expert, Kristin Scott and presented through the dazzling illusions of a Magician Extraordinaire. Who: This learning experience is designed for business owners, CEOs, leaders, managers and HR directors. When: Thursday, March 29, 2018. 7:30 a.m. check in and networking, 8-9:30 event. 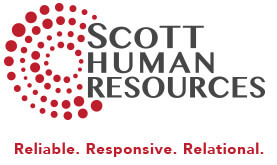 Radically improve your approach to employee management with Radical Engagement from Scott HR. This learning experience will show you how to streamline time-consuming employee management tasks while dramatically improving their result. Your time is valuable. This fast-paced, upbeat learning experience focuses on the most important and impactful topics in human resources. You’ll come away with an energized and refreshed understanding of employee management and four tools you can implement immediately. Research shows that we are more likely to remember experiences, rather than just information, so Scott HR has teamed up with a professional magician and entertainer whose astonishing sleight of hand and visual illusions will complement each HR topic in an interactive way you won’t soon forget. Register for Radical Engagement by March 19 for the early bird discount!